By the power of Shan-Teng’s love, this is one of the best romcoms around. In order to save his sister in a medical emergency, the young and wealthy CEO, Feng Teng, asks one of his corporation’s new employees, Xue Shan Shan, to donate blood because she happens to share the same extremely rare blood type as his sister. Friendly and always helpful, Shan Shan, agrees to the request and becomes the Feng family’s savior. To thank Shan Shan for her help, Feng Teng’s sister arranges to have a special lunch prepared and given to her each day, instead of Feng Teng’s suggestion of just repaying her with money. Connected by their shared lunches, Feng Teng becomes intrigued by Shan Shan and her optimistic approach to life, and slowly but surely falls for this girl who’s the opposite of himself. 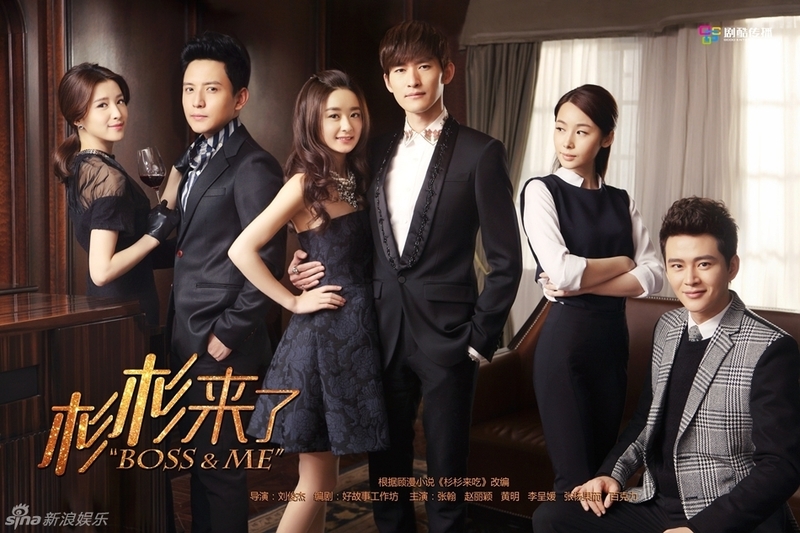 If any of you followed my recaps for Boss & Me, then you’ll already know how much I absolutely adored this drama. To say that I was smitten by the two main leads and their characters would be a major understatement because I’m going to be forever shipping them. Forever! I’m already crossing my fingers and wishing on shooting stars that Zhang Han and Zhao Li Ying team up for another drama. Or you know, they could just date for real. 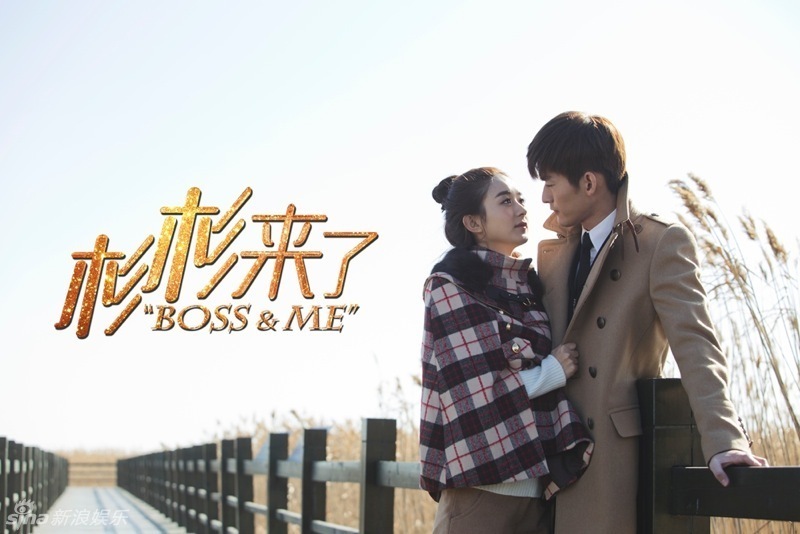 As for the drama itself, Boss & Me is a fun and ridiculously cute romantic comedy that doesn’t steer too far away from the traditional format of romcoms, but it was the chemistry between the couple that made this such a complete joy to watch. 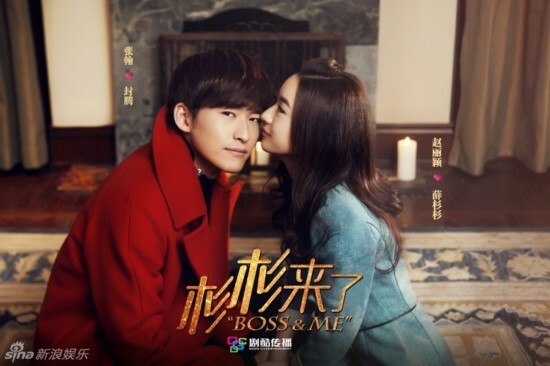 My biggest wish when I first started watching Boss & Me was that it won’t get restricted by the “donating blood” plotline, and the drama was nice enough to grant me my wish. Although it served as the catalyst for Feng Teng and Shan Shan meeting, that plotline was soon pushed to the back burner and only mentioned in passing later on. Instead, much of the focus was on Shan Shan and Feng Teng’s relationship, which was honestly the best part of this drama. Like I said, this isn’t a groundbreaking romcom by any means, but they took all the familiar and beloved aspects of good romcom dramas and incorporated them all into this one drama. Shan Shan and Feng Teng had such a loving and adorable relationship that it’s impossible to not root for them. More often than not, I found myself to be smiling and repeatedly saying “awww” while watching their story unfold. Although the main character of Boss & Me is obviously Shan Shan and it’s her journey that we’re watching, I actually think it’s Feng Teng that was more of the driving force for the drama, albeit in a behind the scenes sort of way. His character didn’t experience as much character development as Shan Shan, but without him, it’s obvious that she wouldn’t have become the strong and independent woman she is at the end. This “Perfect Man” character is nothing new, yet Feng Teng somehow still managed to feel like a combination of all your favorite romcom male leads, but better. I frequently think that the stereotypical romcom male leads try way too hard with their macho manly act that they can come across as mean and brutish, but Feng Teng was quite the perfect gentleman with the right amount of manliness. Just like how Feng Teng was the better version of the typical romcom male, the same goes for Shan Shan. Even though her innocence and overly trusting nature made me often sigh in exasperation, I was never actually annoyed with her. Her character was just so endearing and charming that you can’t help but accept her flaws. I particularly liked how they showed Shan Shan’s growth as a person and character, and we’re able to see her go from being a carefree and somewhat flighty girl to a mature and worldly woman by the end. One of the reasons why I loved the Shan-Teng couple so much is that they both possess a strong sense of independence. Both characters are clear in knowing what they want, but they use their own ways to achieve it without compromising themselves and others. What a refreshing change! As much as I loved Feng Teng and Shan Shan, I found the supporting characters to be a big ol’ collective “meh.” I loved Zheng Qi’s character at first, but quickly found him to be too one-dimensional. Part of the reason why Zheng Qi lost favor was because of his pairing with Li Shu, who I thought was completely insufferable. And Shan Shan’s group of family and friends were equally unnecessary. But in all honesty, I did not mind one bit that the supporting characters were so unimpressive because I was in it for Feng Teng and Shan Shan, and not these bystanders. So, these side characters could do whatever in the drama and it wouldn’t affect my love for Shan-Teng. Their story is the only one that I truly cared about. The acting is what you’d expect from a romcom, which isn’t necessarily a bad thing but there just isn’t enough intensity in the story for the actors to really show off their acting chops. Of course, no one goes into a romcom preparing to have their hearts ripped out, so it’s not a slight against Boss & Me one bit that it remained relatively lighthearted. I think Zhao Li Ying’s acting as Shan Shan impressed me the most because the character could have easily gone from cute to super irritating in the matter of minutes, but she kept that from happening. Zhang Han wasn’t given as much as Zhao to really demonstrate his acting, but he still did a commendable job in conveying Feng Teng’s emotions and thoughts through his facial expressions and limited dialogue. Maybe because I’m so used to the extensive overacting in Korean and Taiwanese dramas, I was pleasantly surprised to see that Boss & Me really didn’t suffer from that. In fact, there weren’t even any goofy nonsensical side stories in this drama that are staples in other romcoms. All us viewers sincerely thank you, Boss & Me, for sparing us from that. Some may say that the overall story of Boss & Me seems recycled, with a kind of “been there, done that” type of feel to it. While that’s not entirely untrue, this drama represented everything that people love about romcoms. And if that’s the case, why would you mind watching something this heartwarming over and over again? In fact, I’ve been missing Shan-Teng so much since finishing the drama that I’m ready to rewatch it! Boss & Me isn’t going to revolutionize the genre of romcoms, but it certainly makes it that much better. So, if you are in the mood to have your heart melted, this is the drama for you. Zhang Han starred in, Let’s Watch the Meteor Shower, the 2009 remake of Meteor Garden. Zhao Li Ying was in, New My Fair Princess, the 2011 remake of Princess Returning Pearl/Huan Zhu Ge Ge. Huang Ming recently starred in the c-drama, Perfect Couple, as Gu Chang Feng. This drama is adapted from the popular Chinese novel, “Shan Shan Lai Chi,” literally translated to “Shan Shan Comes to Eat,” by Gu Man. Gu Man’s other novel, “He Yi Sheng Xiao Mo,” is being adapted into the c-drama, You Are My Sunshine, starring Wallace Chung and Tang Yan. Tang Yan was also in Perfect Couple with Huang Ming. 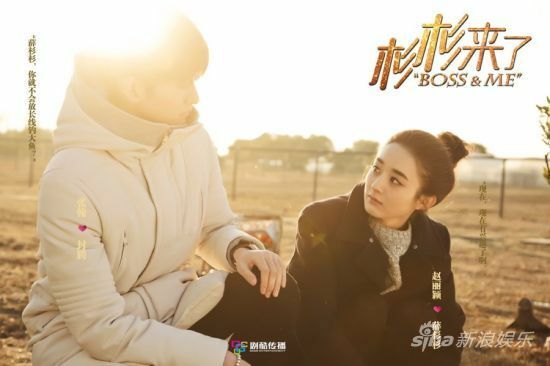 Catch up on Boss & Me/Shan Shan Lai Le with the episode recaps! Shan-Teng doing what they do best: EATING. A big thanks once again to all the Boss & Me/Shan Shan Lai Le recap readers! I had an absolute blast watching and recapping the show, and was thrilled that so many of you loved the drama as much as me. If anyone has any good recommendations to fill that Shan-Teng void in my drama life, leave it in the comments! i love this drama. Both of them (Feng Teng and Shan Shan) still stayed in my imaginary. Although the end of this story isn’t my hope ( I hope will see the wedding ceremony at the end :)) but it’s oke, hopefully someday this drama will continue in session 2, and i’m ready to watch it. Be pitied the English subtitles series in you tube is not completed until the end of drama. so, i just looked at the mandarin languages even i don’t understand the detail of story. Thanks to Anna and dramaforreal.com teams who helped me to understand this drama clearly. your review about this drama is very important to see and helped the foreign people to understand it. Success for all of you. @fifia – Thanks for supporting our blog and the Shan Shan recaps! Omg, I would be SO happy if they made a sequel or even just a one-ep special to show their wedding. @Estelle – thanks to the hard work of the teams. I enjoyed read of the reviews. Now, I’ll try to repeat the reviews again from episode 1-33. Make sure, I’m not missing the detail of this drama. When i’m finished, i will try to continue with another drama’s reviews at dramaforreal.com, Maybe it will be my reference to watch other Chinese dramas. Thanks so much for the excellent recaps you did for this. If you’re a fan of Gu Man, my blog partner here, Estelle, watched and recapped another one of her books: You Are My Sunshine. Maybe you’ll enjoy those too! I also stumbled on the recap accidentally, and could not stop reading, it explained the story in more detail, This is my first time watching a Chinese drama in a series, I became interested after watching Crazy Rich Asian, Thanks for taking the time to help us understand.